​Located in Duluth, MN, Hammerhead Attachments is a reseller & manufacturer of firewood & wood handling skid steer attachments. Our line of skid steer attachments are built in the USA by skilled iron workers and are constructed to the highest standards. Whether you're looking for an attachment for your skid steer, farm tractor, or loader, Hammerhead attachments has you covered. We understand that these are the tools that you use in your business and it's our goal to give you the right tool for your job! 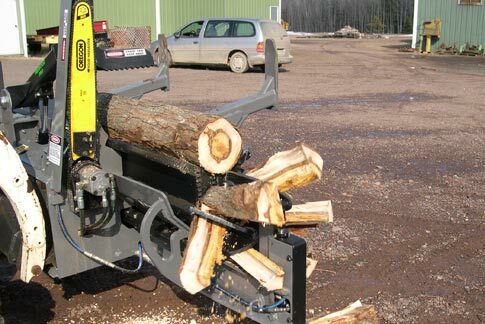 From our log grapple saws to our line of skid steer firewood processors we have solutions to your log processing needs.